This is a personal piece intended to illustrate my thoughts on design. 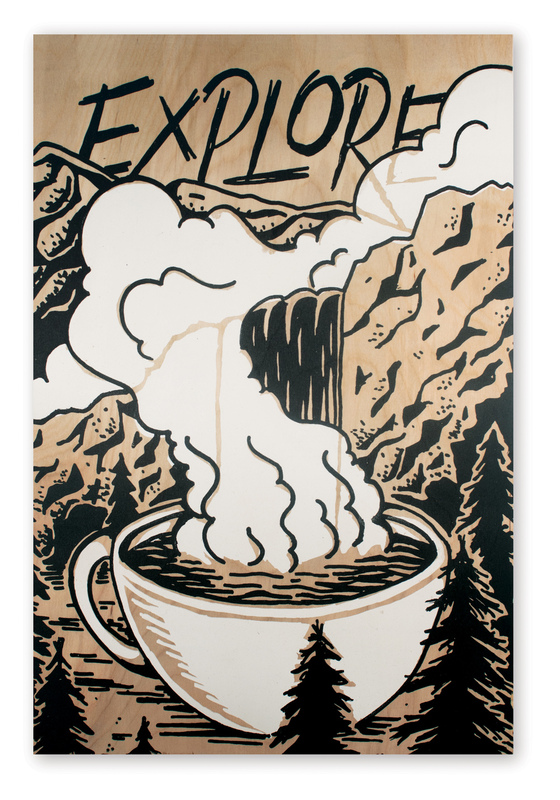 I chose to screen print a series of illustrations on wood that represent a different step of my creative process. Each print meshes "tools" of my creative process into surreal scenes in nature. "Explore" represents the step of brainstorming and conceptualizing, "Create" represents the process of physically creating and "Adapt" represents the never-ending process as a creative.